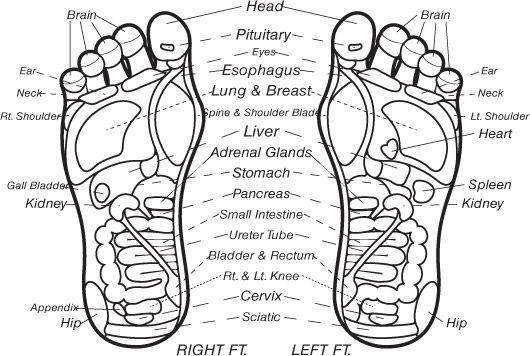 Acupressure is very similar technique to acupuncture, in acupressure the physical pressure is applied to points that used in acupuncture technique. 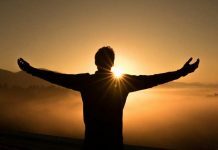 These points known as “meridians”, the pressures is applied to this meridians with the purpose of clearing any blockages in it. People sometimes use devices to apply pressure, but mostly it is done with hands and elbow. The points used in treatment may or may not be the same as the part of the body having symptoms. These points are selected based on the traditional Chinese medicine system, they claim to bring relief by rebalancing Yin, Yang, and Qi. The efficiency of the acupressure depends on the person who implements it; it can bring dramatic changes in a few diseases if applied properly. 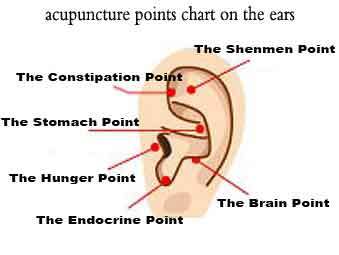 Why Use Acupressure Points to Lose Weight? Do I need equipment for acupressure points for weight loss? Unhealthy diet and irregular results in gaining weight, people these days have a very hectic lifestyle. Due to this lifestyle, the most common problem this day is gaining weight or losing too much weight. One needs around 2-3 hour daily to maintain their weight, but the lifestyle or schedule does not allow them. Acupressure points can come in handy in a situation where you do not have time. The treatment can be done within 20-30 minutes a day. It’ll help you in losing weight by making your digestive system stronger, stabilization of the appetite, decreasing the hunger and making you aware of your eating habits. It highly recommended that before trying the treatment you should learn how to use acupressure points for weight loss. There is acupressure practitioner who is willing to teach, and the result of the treatment can only achieve with the regular and timely implementation of the meridians points. Only using the acupressure points will not lead to weight loss, we recommend to consult and have a balanced diet chart prepared by professionals. Below are the some of the acupressure points which can help you lose the weight. If you are thinking to lose weight, then you have to control your appetite, without controlling there is very fewer chances that you’ll lose weight. 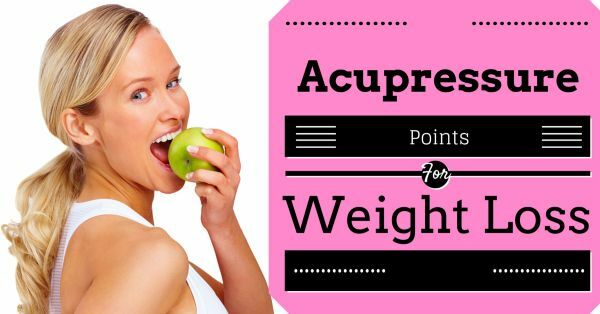 This acupressure point for weight loss is for the same purpose – controlled appetite. The ear point is located exactly at the end of movement of the jaw and after the ear. It displayed in the picture for better understanding. After you find the point it is recommended to apply pressure with one finger for around 2 minutes to 3 minutes. The benefits of implementing the pressure at this particular point are – It’ll help you balance the hunger and maintain the appetite. Being regular on this point will make you aware of your food habits and allow you to control it in a proper way. Try this point if you are also suffering from an ulcer, as it can give wonderful results in curing the ulcer. Abdominal Sorrow Point is located near the last rib of the rib cage, around 1-2 centimeters below the last rib. It is recommended to apply pressure for 4-5 minutes with your one finger on abdominal sorrow point. This point can give you benefits in losing weight as well as relief in an ulcer. It’ll also reduce indigestion problems. This Weight Loss Acupressure point plays the critical part in reducing excessive weight from your body. Elbow point located near the joints of elbows. As you bend your hand near the chest and look for the point between the joints of the elbow. For better understanding, please refer to the image. After you located your acupressure point, we recommend using the thumb to apply the appropriate amount of pressure to it. Be cautious of applying the pressure because the excessive amount of pressure for 2 minutes can cause the injury. We recommend to consult and observe the professional before trying by yourself. The regular practice of acupressure on Elbows will result in improved large intestine functions, additionally, it’ll remove the excessive heat and excessive weight from the body. The most important point which will magically cure your digestive system. An ankle point is located exactly between the joints of leg and leg palm. For a better understanding of the point, please refer to the image. After you find the acupressure point, please apply the equal pressure on both the side of the point with one thumb and one finger. If you are pregnant, please IGNORE this acupressure point for weight loss. Again this point is crucial for improving the digestive system. It’ll give boost and strength to the digestive system and reduce weight as a result. Knee points are approximately located 4-5 centimeters below the knees, again the location of the point can vary based on your height, so it is recommended to consult the professional to find the exact point. After you find the pressure point, you have to apply pressure with your finger for around 3 minutes. It is a very important acupressure point for weight loss, as it directly connected with the well-being of the stomach. Regular practice of acupressure on this point will result in an improved digestive system and reduction in unnecessary hunger. If properly done, one can see the change in their appetite within a week. It’ll also improve the blood flow near the stomach area. A very crucial acupressure point to lose weight is located near the navel, it is under the navel, the approximate distance between the abdomen and navel is 3 centimeters. 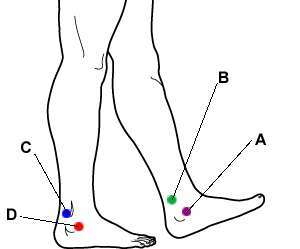 The point can be at a different location based on the size of the body and gender, consulting your acupressure practitioner about your point recommended. After you locate your abdomen acupressure point, you need to massage it for 2 minutes with little pressure. Moreover, then apply pressure with your two fingers on the exact meridian mentioned by your acupressure practitioner. The reason to select this point is; it’ll help you improve the digestive system and will reduce the chances of constipation. This article is created in a such a way that one doesn’t need to use any kind of equipment, but if you’re willing to buy them it can be very helpful and give you better results. Here is the list of equipment we recommend. It is the equipment made from the wood with the purpose to apply an equal amount of pressure on the palms and foot. This sleeper comes with the plastic pyramid on the surface of sleepers. It’s best for the people who don’t have time to sit and get treatment. This is the same as foot roller, it can be used to maintain the flow of blood in the body by regularly using it. Above mentioned acupressure points for weight loss are best to our knowledge and there are many other points which are also helpful, do you know any of them? We recommend consulting the professional acupressure practitioner before trying the treatments. Please comment on your experience about the acupressure in the comments. i m daibatic pateint and five kg weight is more.